Robes like these won't make you feel like you're dressing down. The model scores her third gig with the pyjama master. Who said the festival vibes ever have to stop? 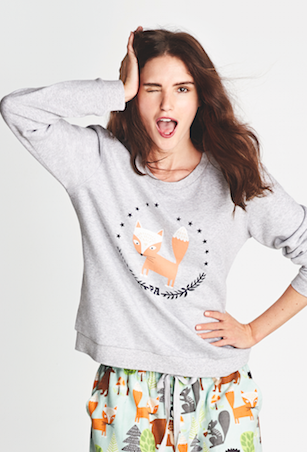 The pretty sleepwear will have you feeling very girl-next-door. Star Wars, Harry Potter, Gentlemen Prefer Blondes and The Wizard of Oz inspire a fun and quirky collection fit for a Friday night in.